This should be an exceptional evening at Village Books in Bellingham: Kate Carroll de Gutes and Brenda Miller read from their latest books, The Authenticity Experiment: Lessons from the Best & Worst Year of My Life (Two Sylvias Press) and An Earlier Life (Ovenbird Books), respectively. In each of these books, essays-as-memoir shine with personal and poetic grace. Join the audience on Wednesday, October 4, 2017, at 7:00pm. Do you know a person age 16-24 who is considering a literary career? Literary Career Day takes place on Saturday, October 7, 2017, at The Seattle Central Library from 11:00am–4:00pm. This free event provides attendees with direct access to industry professionals through networking, experiential learning, engaging conversations, and performances. Participants are exposed to a wide range of career opportunities, including writing, editing, publishing, arts administration, retail, library sciences, journalism, teaching, and more. Each August, hundreds of people from around the world write and mail a daily poem on a postcard — spontaneous, un-edited, and, more often than not, going to a complete stranger. 2016 was the tenth anniversary of APPF, and the anthology was assembled to honor the occasion. 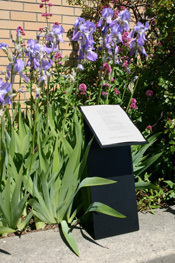 It includes poems and full-color images selected from the participants’ submissions. Your faithful blogger was honored to be invited to co-edit the collection with Paul Nelson and Ina Roy-Faderman. September 24-30, 2017, is Banned Books Week, a celebration of the freedom to read. Artist Marta Minujín constructed a monument to that freedom as part of the international biennial art exhibition documenta 14. Originally constructed in Buenos Aires in 1983, A Parthenon of Books was constructed on Friedrichsplatz in Kassel, Germany, where, on May 19, 1933, some 2,000 books were burned by the Nazis. The artist solicited donations of 100,000 formerly or currently banned books from all over the world for her replica of the Parthenon. Read the story in Dezeen. Read about Minujín’s 2011 book-built Tower of Babel in The Guardian. vulnerable to the wickedness of weather. the shine showing us the way home. for home . . . the distance in our heads. *Copyright 2017 by Roger William Gilman. Broadside illustrated by Megan Carroll. Like many communities nationwide, Whatcom County, Washington, has an annual, one-book-together reading and discussion program, known as Whatcom READS. This year’s selection is Your Heart Is a Muscle the Size of a Fist by Sunil Yapa, a fast-paced story set in Seattle during the 1999 World Trade Organization protests. 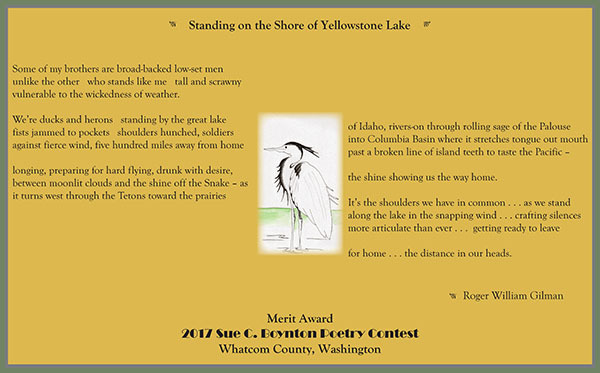 In addition to the book, discussions, and readings by the author (in March 2018), writers are invited to read the book and contribute their own words to Whatcom WRITES, a contest and annual print and electronic publication. This year’s theme is resistance and the deadline for fiction, non-fiction, and poetry submissions is midnight, Tuesday, October 31, 2017. Winning entries will be included in the publication and a selection of authors will be invited to read their work at Village Books Fairhaven on Sunday, February 4, 2018, 2pm, and at Village Books Lynden on Sunday, February 11, 2018, 2pm. Find the details and a downloadable flyer on the Whatcom WRITES page. 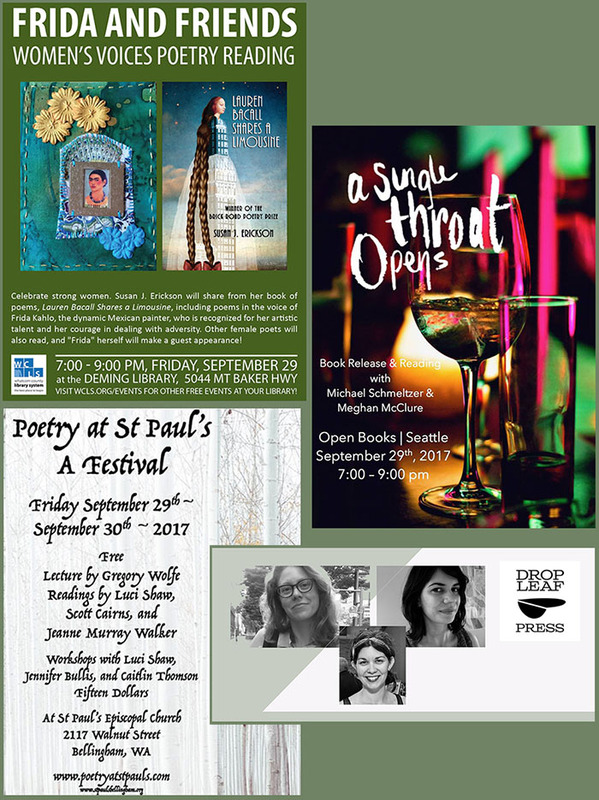 Tagged: call for poems, resistance, Sunil Yapa, Whatcom Reads!, Whatcom Writes!